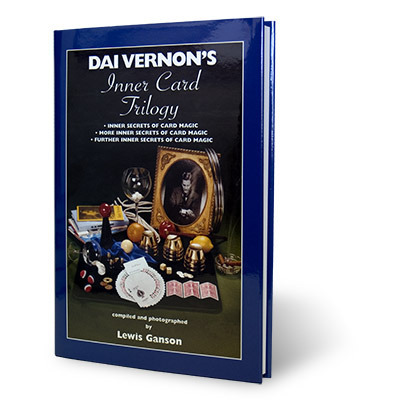 Today, when you order "Inner Card Trilogy by Dai Vernon - Book", you'll instantly be emailed a Penguin Magic gift certificate. You can spend it on anything you like at Penguin, just like cash. Just complete your order as normal, and within seconds you'll get an email with your gift certificate. 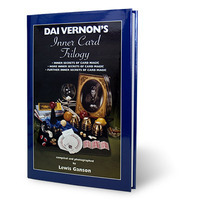 "Inner-More Inner and Further Inner Secrets of Card Magic make up the finest-ever collection of top-quality tricks and sleights. Get them on your shelf and you'll be set for life...for this type of material will be fresh in 50 years time." Perhaps Hofzinser said it best, "card effects are the poetry of conjuring." If that is so, Dai Vernon was a master poet. Beginning at the tender age of five, David Frederick Wingfield Verner passionately embraced the art of magic with all his heart and soul-he never let go. Nothing got between him and his lifelong quest for perfection at his craft. His well-grounded knowledge of the principles of conjuring and his skillful knack for expanding upon those principles gained him world-wide admiration. His many innovations have become "the stuff that dreams are made of." 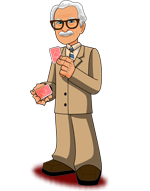 Magicians respected him because he respected magic. It is well documented that he had a profound influence on his contemporaries as well as on the subsequent "new wave" of close-up practitioners that faithfully followed his teachings.Cervon, Jennings, Klause, Skinner, et al, they felt "The Vernon Touch"...they still do...so will you. Thoughtfully pursue the pages of this book with cards in hand and you'll soon realize whey they all lovingly call Dai Vernon, "The Professor." Pages 240 - Hardbound with dustjacket.